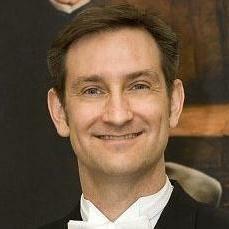 Allen Hightower is the Director of Choral Studies at the University of North Texas. At UNT, Allen serves as conductor of the A Cappella Choir and the Grand Chorus, and oversees a comprehensive choral program that includes seven choral ensembles. Dr. Hightower leads the master’s and doctoral programs in choral conducting. Prior to his appointment at UNT, Dr. Hightower was the first holder of the Weston Noble Endowed Chair in Music, at Luther College, where he served as conductor of the renowned Nordic Choir and Artistic Director of Christmas at Luther. As Luther’s Director of Choral Activities, he gave leadership to a choral program that included four conductors, six choirs, and over 530 singers. Under his leadership, the Nordic Choir recorded six compact discs, made annual tours throughout the United States, and toured Europe on two occasions. From 2000-2010, Dr. Hightower served as Professor of Music and Director of Choral Activities at Sam Houston State University. During his tenure, the SHSU Chorale performed for the 2007 National Convention of the American Choral Directors Association. Prior to his appointment at Sam Houston, Allen was the conductor of the Chamber Choir at California State University, Long Beach. From 1992-1996 he was Director of Choirs at Odessa Permian High School, and led the PHS Kantorei and Chamber Orchestra in performance at the 1996 Texas Music Educators Association convention. From 2005-2010 Allen was Artistic Director and Conductor of the Houston Masterworks Chorus and Orchestra, with whom he led performances of many of the most significant masterworks of the choral-orchestral repertoire. As a church musician, he has served Baptist, Methodist, Presbyterian, and Congregational churches in Texas, California, and Minnesota. Allen earned an undergraduate degree in music education from Sam Houston State University, a master’s degree in choral conducting from the Eastman School of Music, a master’s degree in orchestral conducting from Baylor University, and a doctorate in conducting from UCLA, where he served as graduate assistant to Donald Neuen. He pursued further orchestral conducting studies at the University of Southern California; and in 1993 and 2000 was a member of the conducting class of Helmuth Rilling at the Oregon Bach Festival. From 1997-2000 he served as assistant to Paul Salamunovich, conductor the Los Angeles Master Chorale.